ATTRACT MANAGERS, PUBLISHERS, LABELS AND AGENTS! Grow your brand. Grow your audience. Expand your influence. Make a living making music. If you want to release an album, single, or EP, if you want to pursue licensing or publishing deals, if you want to book more shows or launch some new merch your fans will love, if you’re looking to start a music production company, or attract a team to help you, or launch a successful crowdfunding campaign… whatever it is, you need a PLAN. We are EXPERTS in FINDING, BUILDING & MONETIZING an Audience for Your Music. Our passion is to serve artists by super-serving their fans in order to build a new business model for artists. 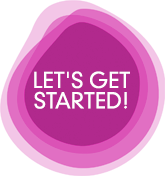 SELL MORE MUSIC, MERCHANDISE OR TICKETS & BECOME THE MUSICIAN YOU WANT TO BE, STARTING TODAY! We will start our relationship by understanding your vision for where you want to go. We create innovative digital marketing campaigns, embracing all of the latest techniques used in media (print and online), streaming services and playlists, radio & press promotion (online and traditional), retail & distribution (digital and physical), advertising, touring and lots more. HOW CLOSE ARE YOU TO HAVING A BREAKTHROUGH IN YOUR MUSIC CAREER? It’s probably closer than you think! WE REALLY WANT TO SEE MORE ARTISTS FINDING SUCCESS WITH THEIR MUSIC! Making music a career isn’t far-fetched. Getting started on the right path is the most difficult part. 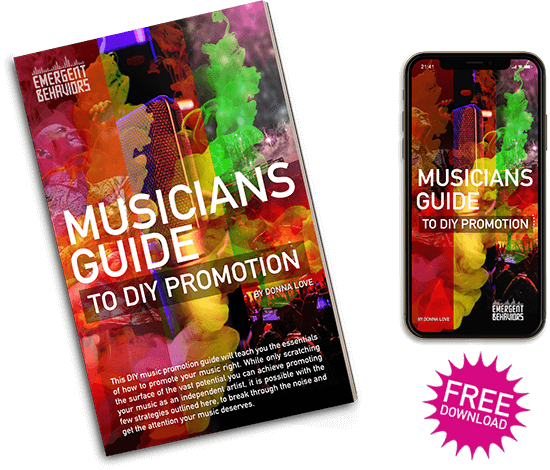 That’s why we’ve taken the time to dig deep and explain how to do it right, in our 44 page, FREE step-by-step DIY music promotion guide. Turn your hobby and passion into a music career! How to make a living doing this in a tough market. Join the legions of music artists who are enjoying additional income from having their music licensed. Ready for your next release? Setting goals around a release is what smart artists and labels do. Always look for opportunities to add names to your mailing list. Does it serve independent artists to release their entire catalogues to streaming platforms?